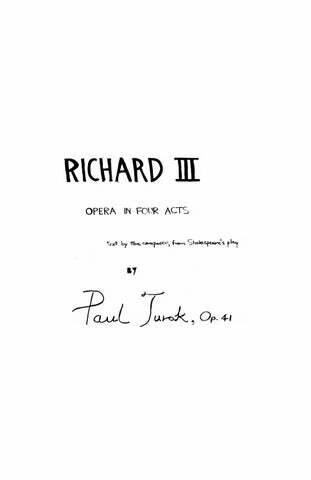 Paul Turok studied composition with Karol Rathaus at Queens College, Roger Sessions at the University of California (Berkeley) and also at Princeton, and with Wagenaar and Mennin at Juilliard. After serving in the Korean War in the early 1950s, he taught at CUNY, and was visiting Professor of Composition at Williams College. His orchestral works were performed world wide, and included premieres by the Cleveland Orchestra, the Philadelphia Orchestra, the Indianapolis Symphony, the New Jersey Symphony, and the Louisville Orchestra, as well as in Bogotá, Paris and Tokyo. His catalogue also included opera, and works for band and chamber ensemble. 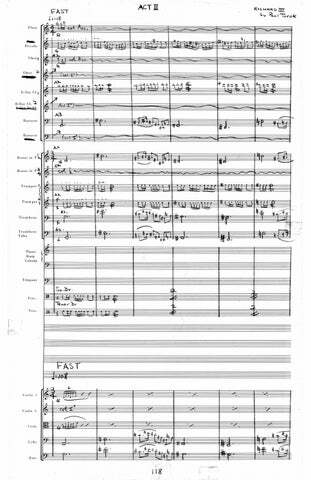 Turok’s orchestral work for the millennium, Reeling in the Y2K (subsequently known as Reeling in the New Year) was heard for the first time at a special concert by Richard Kapp and the Philharmonia Virtuosi at the New York Metropolitan Museum of Art in February, 2000. Paul Turok was also a noted critic. Prior to founding “Turok’s Choice,” a monthly review of new classical recordings, in 1990, he wrote monthly columns for Music Journal and Ovation Magazine. He was also a regular contributor of classical record articles to the New York Times, and a frequent guest critic on the nationally syndicated radio show, First Hearing. Biographical references to Paul Turok can be found in the New American Grove’s Dictionary of Music and Baker’s Biographical Dictionary of Musicians, Who’s Who in America and The International Who’s Who in Music. 8:00 3(dbl. Picc.) 3(E.H.) 3(dbl.Eb Cl. / B.Cl.) 3(dbl.Cbsn.) – 6 4 4 1; Timp. Perc. Pno.(Cel.) Hp. Str. 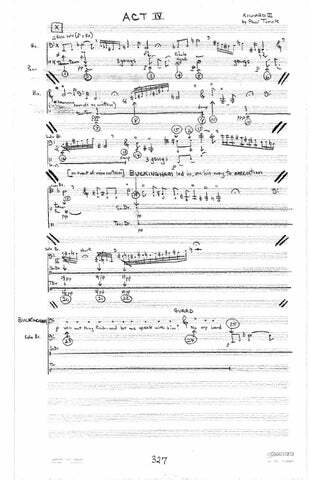 Three Interactive Pieces for Children and Orchestra 16:30 2(dbl. Picc.) 2(dbl.E.H.) 2 2 – 2 2 2 1; Timp. 3Perc. Str. 3(dbl. Picc.) 3(E.H.) 3-4(Eb Cl.(opt.) / B.Cl.) 3(Cbsn.) – 4 3 3 1; Timp. 3Perc. Hp. Str. 20:00 1 2(E.H.) 2(B.Cl.) 1 – 1 1 1 0; Timp. Perc. Str. 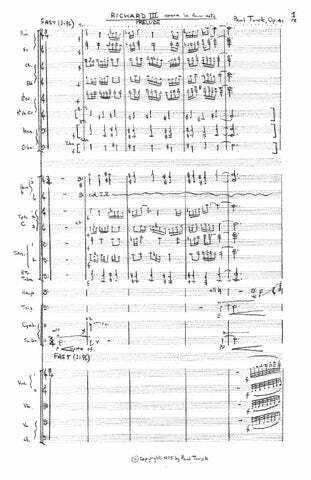 A Brief Diversion for Classical Orchestra 4:30 2 2 2 2 – 2 2 0 0; Timp. Str. 8:00 2(dbl. Picc.) 2(dbl.E.H.) 2(dbl.B.Cl.) 3(Cbsn.) – 4 3 3 1;Timp. Perc. Hp. Str. 10:00 picc./2/2/eng.hn./2/b.c.1./2kbsn. – 4 3 3 1; Timp. 2Perc. Hp. Str. 9:00 3(dbl. Picc.) 3(dbl.E.H.) 3(dbl.B.Cl.) 3(dbl.Cbsn.) – 4 3 3 1; Timp. Perc. Hp. Str. 15:00 Solo cello; 2 2 2 2 – 2 2 0 0; Timp. 2Perc. Pno. Hp. Str. 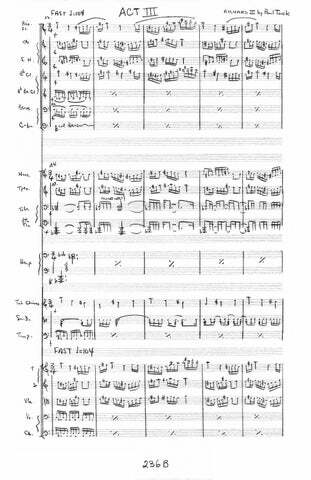 15:00 Solo English Horn (Alto Saxophone); Str. 15:00 Solo Vln. (2); 2 2 2 2 – 2 2 2 1; Timp. Perc. Str. Chamber opera in one act, nine scenes 18:00 Solo soprano, mezzo-soprano, baritone voice; 1 1 1 1 – 1 1 0 0; Pno. Vcl. Cb.